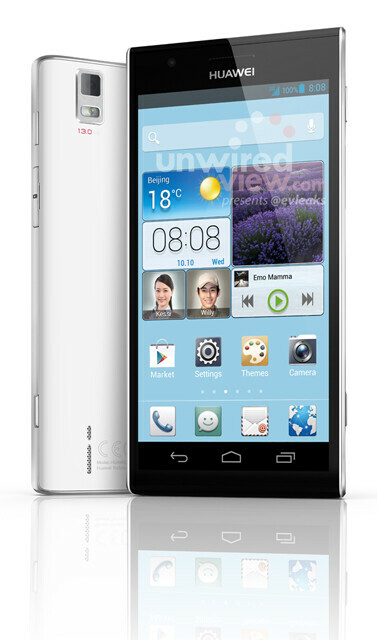 Earlier this month at CES, Huawei showed off the Huawei Ascend D2 with a 5 inch 1080p screen and a 441ppi pixel density. The device has just launched in China. HTC, which started the recent craze of 441ppi devices with the HTC DROID DNA/Butterfly is rumored to take it to the next level with the HTC M7 which, according to the buzz, will shoehorn FHD resolution onto a 4.7 inch screen. That works out to a wicked 468ppi pixel density. But if the latest leak from @evleaks is right, Chinese manufacturer Huawei will be going beyond the next HTC flagship model. According to the speculation, the Huawei Ascend P2 will be displayed at MWC and will feature an FHD resolution on a 4.5 inch screen. We don't have the ppi computed, but with the panel coming in .2 inches smaller than the one on the HTC M7, the pixel density will be higher than the 468ppi on that device. This recent focus on pixel density is taking Android well above the 326ppi Retina display on the Apple iPhone 5. The rest of the specs include a quad-core 1.8GHz processor built in-house, 2GB of RAM, a 13MP camera and a hefty 3000mAh battery. Android 4.2 should be installed out of the box. The use of an in-house chip should keep the price manageable even as Huawei sets a new standard for Pixel Density. 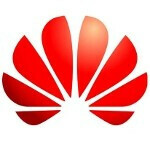 The question is whether the Huawei Ascend P2 will be sent to the U.S. Sorry I still think that anything below 6 inches in display screen size doesn't need a full 1080p display. If it's a tablet, sure but it's overkill on anything below 6 inches. Much like the Retina Display Macbook Pros, it's more about marketing. The hardware barely drives these screens. That being said, that Droid DNA has a beautiful display. Today's hardware is very much capable of handling these high res displays. Majority won't even be able to tell a difference. Great placebo effects. If they have the tech, why not? It's ok for a phond to have FHD but i just hope manufacturers shoukd not let the laptops left behind...FHD should be the standard resolution of laptops 13" above.. The pixel density calculated on device comes to 490 ppi. Say close to 500ppi. How many apps support 1080? Higher resolution the better, in my opinion. Just wondering what actual use it will be... Any of the Play movies 1080 either? Many apps are built so they can scale easily on Android. I think most of them will "support" it but very few non-tablet apps will be optimized for it. A super amoled 1080p screen all the way, even though i want the xperia z i cant wait for the gs4. Neither can I. A 1080p super amoled screen is going to be wicked. Holy crap, a pixel density, of 489! Also, they meant .2 inches smaller than the M7, if it were a 2.7 inch screen with a 1080p resolution I'd be genuinely flabergasted as to why that's not on a watch or something. Good sounding phone overall, if it's a homebrew processor though... maybe not as good, but still. Can't be too bad! IDC what anyone says. I'd freaking love a phone with a 1080p 4.5" screen. if 1080p fit in 5" display = 441ppi then, 4.5" display will be... (5 / 4.5) * 441 = 490ppi !! i think 300ppi is enough. I can't even distinguish every single pixel on 342ppi xperia s display. wow a phone with a 489.534926685 ppi screen! now that makes me torn between this and the sgsIV. These are killer specs but this phone will most likely be brought down by Huawei's horrible ui.